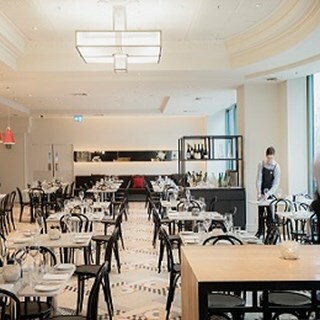 Lane Cafe and Bar on Collins Street, Melbourne features an extensive buffet breakfast, a café style lunch menu and a sumptuous a la carte dinner menu, designed to reflect Melbourne's vibrant food culture. This is my 3rd visit and each time I have a great meal and the service is fantastic! Great service from Nigel and Sabine. Friendly, professional, knowledgable, flexible. Thank you. The wine list was very good with interesting inclusions and complimented the food perfectly. The food was excellent - excellent flavours and a menu that has good variety. The service was excellent with welcoming and professional staff. The menu is well priced. Fantastic food, great table service and fabulous location, a very enjoyable night! Messed up the booking, asked us to move tables, food was forgotten, food was average. They were understaffed. Waiters were making mistakes. The girl who was serving us was lovely, but she was making errors, wouldn't blame her though as she was doing a 3 person job serving too many people all by herself without help from the other staff. She was very nice though and was putting a great effort in. Everything was perfect except they forgot to give my dad the sugars for his coffee. But everything else was great. Service was exceptionally good, with the waitress asking us about our evening plans and whether we were in a hurry or not. We were going to a show but our meal was delivered quickly. The meal was fabulous and we thoroughly enjoyed it. Well done to the Chef - the pumpkin soup was amazingly good. Service was slow over the new year weekend even with only 3 tables to serve at lunch. Food was great and was worth the wait when it arrived. The salmon was great for a starter and the soup came in a huge portion! I found the risotto a little too salty, but the cod was fine. I was glad to be seated by the window. The staff were very warm and friendly throughout the dinner service. 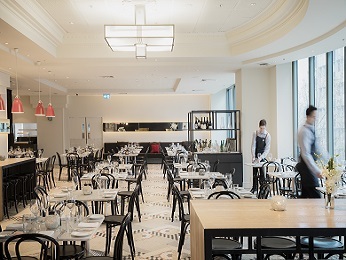 Have eaten at the Novotel Melbourne on Collins (Lane Restaurant) for a few years, where the quality of food is superb. The service is always friendly and hard working staff. Thank you very much. Food is great and this place is not noisy like some restaurants. Service is excellent. I will be back. Welcoming atmosphere, top class food and excellent service. The staff members are friendly and vibrant and obviously well trained about the importance of Accor loyalty. As an Accor Plus member, the location and food selection was perfect for a get together with friends, and was incredible value for money after using my benefits.